It’s a brave psychiatrist who attempts to play down the effects of prescribed psychiatric drugs, specifically antidepressants, when there have been so many reported instances of damage and death associated with their use. The controversy resurfaced this week when Professor Baldwin resigned from Public Health England’s expert panel on prescribed medicines in the wake of a conflict of interests along with a string of insults connected with the published letter. While Professor Baldwin and Dr Burn made their assumptions, there was a fundamental error. They failed to consult the people who really matter; those being the people who have experienced and continue to experience the physical and mental pain and trauma associated with coming off of antidepressants. They are the ones who know. The generalities and weasel words that regularly appear in psychiatric rhetoric serve as mitigation when care and compassion of those in need should be the order of the day. 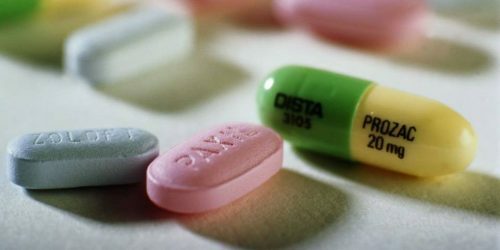 How damaging are antidepressants? Recent figures were published by the Office for National Statistics on deaths related to drug poisoning in England. These figures are mind boggling. From 1993 to 2017, the number of deaths associated with antidepressants was 11,169. That’s an appalling death toll which, when you do the maths, equates to 1.2 deaths per day over that 25-year period. If this was the number of deaths associated with baked beans, it’s very likely those beans would be off the shelves and the manufacturer promptly bankrupted due to the number of lawsuits. The unholy alliance however between pharmaceutical companies and psychiatrists seeks to continue a profit-driven agenda where conflicts of interest are viewed unfavourably and with disdain, especially when human lives are at stake. Also realise this – antidepressants are big business. Since 2000, the NHS has spent £5 billion on antidepressants in England alone. The commercial aspect of psychiatric drugs may be good business, but it’s bad medicine. Be informed so that you can make an informed choice, rather than listening to opinionated psychiatrists who ignore the people who really matter. Posted in Latest News and tagged antidepressants, Dr Wendy Burn, Professor David Baldwin, psychiatric drugs, Royal College of Psychiatrists, Selective Serotonin Reuptake Inhibitors, SSRIs.